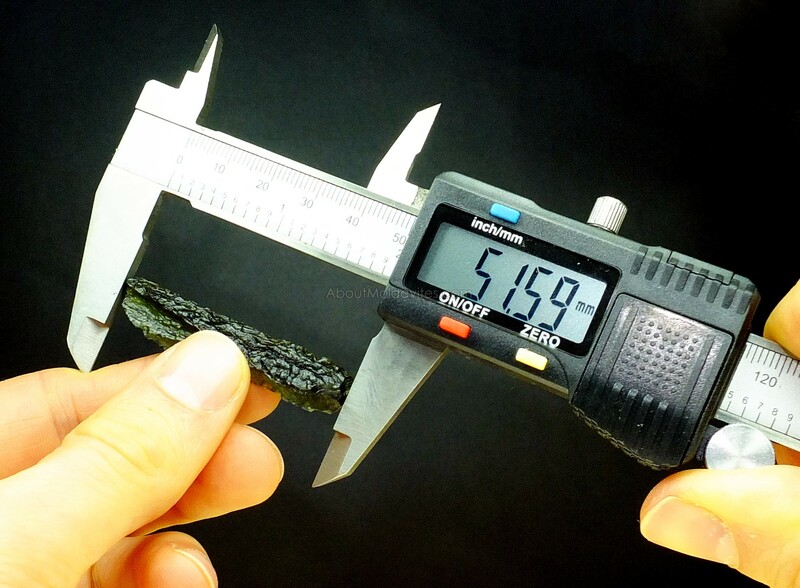 With a moldavite, we measure its length, width and thickness. The measurement is carried out in the thickest part of the moldavite. 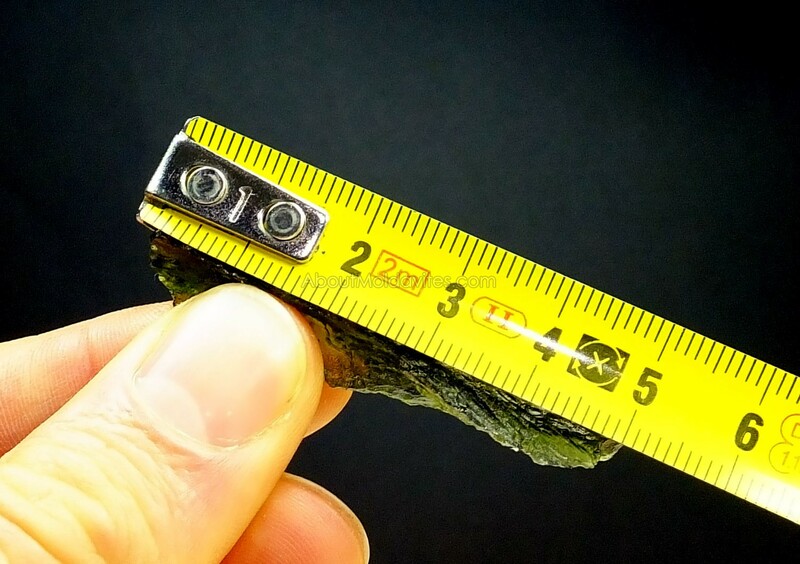 To measure a moldavite we use a vernier scale with accuracy within 0.01 mm. However we must be careful not to damage the stone as the measure is made of meatal. For basic measuring, a simple roll-up tape measure with accuracy within 1 mm. Measurements are most commonly carried out in the SI system (International System of Units), which contains the unit for length – the metre [m]. 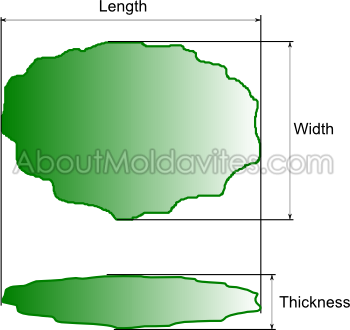 For moldavites dimensions measurement is used smaller unit – the milimetre [mm]. 1mm = 0.001m. The Imperial or US Customary system is sometimes also emlpoyed. It uses inches as basic units [“]. We can measure size of opened bubbles, diameter of channels, length of lechatelierities, schlierens etc. 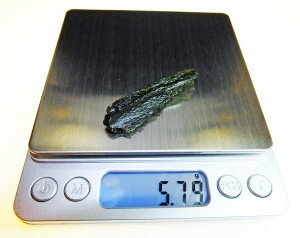 The weight is the most important parameter on which the value of a moldavite is based. When weighed a moldavite should be clean without residue of clay and dry. As for weighing, the use of a digital scale is the easiest. To get an accurate result laboratory electronic scales can be used. Their accuracy is within 0.001g. For common use scales with accuracy within 0.01 or 0.1g or even a normal kithen digital scales will do. The basic unit of weight according to the SI system (the International System of Units) is a kilogram (kg). 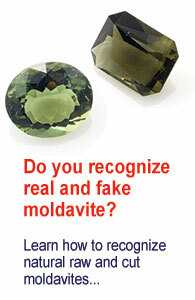 For individual moldavites this unit is too big so we use gram (g) instead. Carat [ct, CD] is an unit of mass used for gemstones.